Expungement and record sealings can be critical to your future. Contact us for help successfully pursuing expungements and record sealings in Colorado. They can readily review your criminal record. You may be forced to have embarrassing, uncomfortable conversations about your past. You may have a difficult time moving on from your past. You could lose out on important job, education, borrowing and other opportunities. At Peter Loyd Weber & Associates, our Broomfield and Boulder expungement and record sealing attorneys believe that people deserve a chance to have a fresh start and that past mistakes shouldn’t necessarily cloud the future. That is why we are here to help people pursue expungements and record sealings so that they can start a new chapter in their lives and focus on a bright future. 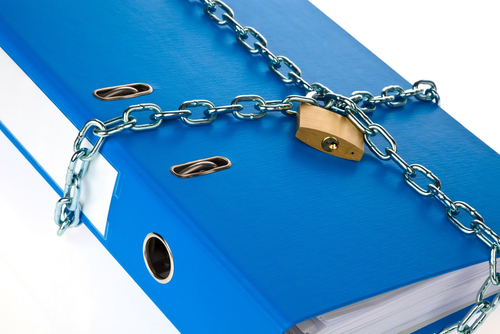 Sealing criminal records essentially hides these records from the general public. Sealed records may, however, be accessible in some cases (such as when people may be facing new criminal charges). With an expungement, the criminal records are essentially destroyed so that, in effect, it will be as though the crime was never committed. While record sealings can be effective for adults, expungements are typically reserved for people with juvenile criminal records. No conviction was associated with the case – This specifically means that a person must not have been convicted of the crime because his case was dismissed, no criminal charges were ever filed (and the statute of limitations for filing charges has passed) or the person was ultimately acquitted of the charges. Cases related to deferred sentences or deferred prosecution can also qualify for record sealings. The conviction was for a petty offense or a municipal violation – Convictions related to certain petty offenses and municipal violations may also be eligible for record sealings, as long as the offense qualifies, at least three years have passed since the case (and the final day of any court supervision) and no new offenses have been allegedly committed by the person seeking the record sealing. The conviction occurred a long time ago and didn’t involve certain crimes – Cases in which a person was convicted of certain drug offenses, more than 10 years have passed since those offenses and no new offense has been committed may also be eligible for record sealings. For an expungement of a juvenile criminal record, there are various requirements that have to be met, so it’s best to discuss these cases with an experienced expungement and record sealing attorney like those at Peter Loyd Weber & Associates. Are you ready to seal or expunge your criminal record and start a new chapter in your life? If so, the Broomfield and Boulder attorneys at the Peter Loyd Weber & Associates are ready to help you. To discuss your options and the next steps for moving forward, call us today at (720) 863-7755 or email us using the contact form on this page. We offer complimentary consultations, and we take pride in always being available to our clients – 24 hours per day, 7 days per week – so that they have the personal attention their case deserves.